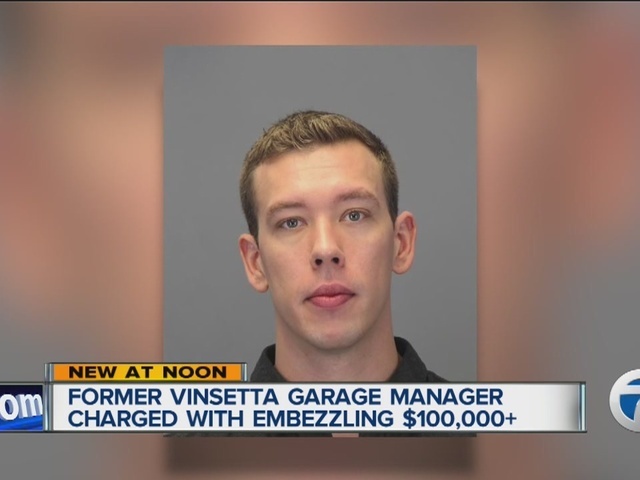 Jeffrey Wells, the former manager of Vinsetta Garage in Berkley, recently pleaded guilty to embezzling more than $100,000 from the restaurant, according to court records. Wells was arraigned on the charges in early December and entered a guilty plea on February 10. His sentencing is scheduled for March 30. The owner of Vinsetta Garage, Curt Catallo, tells 7 Action News Wells had been a member of the restaurant family for years. "It's really heartbreaking that we've given him this trust and he turned it against us," said Catallo. We're told Wells was on a European vacation when investigators discovered his crimes. The popular eatery and bar is located on Woodward Avenue north of 11 Mile. Vinsetta Garage was built inside an old car repair shop that had the same name.